The Friedman Justice League highlights the need for a more inclusive approach to regional food system planning, shedding light on the workers whose interests are currently underrepresented in the process. Last month in Saratoga Springs, New York, more than 300 of the brightest food systems innovators in the country came together at the Northeast Sustainable Agriculture Working Group (NESAWG) Conference to establish a vision for the future of regional food. It was two days of strategizing, visioning, sharing, learning, building connections, setting up platforms for future collaboration, and – of course – eating delicious food. 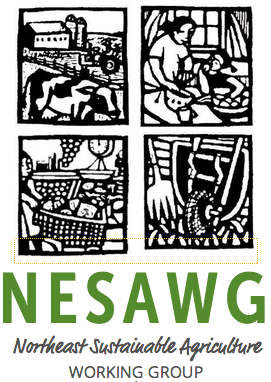 NESAWG is a network of northeastern states that aims to unite farm and food system practitioners to build a just, sustainable, and economically vibrant region. How ironic, then, that in a ballroom of over 300 food systems innovators, engaging in thought-provoking and challenging conversations about how to manifest this food vision, the room was largely devoid of those people largely responsible for creating it. Fixing this notable absence necessitates not just an extension of an invitation to come sit at the table (in theory, anyone can come to NESAWG conferences), but a critical restructuring of what and where the table is. How can we ask farmers, many of whom are overworked and underpaid, to take time off at a critical point in the season, travel several hundred miles, and use their own money to stay at a hotel for several nights, all for the sake of contributing to an agenda that they had no opportunity to set in the first place? In order to create a comprehensive vision for our food system – one that works for everyone involved – the table needs to be brought to those with whom we wish to engage. Food chain workers, especially, need to be involved in setting the table. This not only means engaging food chain workers in the topics of concern that NESAWG cares about, but actively engaging in the issues that food chain workers care about. These include some overlap – advocating for agricultural land preservation, resource accessibility, and sustainable farming practices – as well as some that may seem out of NESAWG’s realm – immigration reform, restaurant worker minimum wage fights, and environmental concerns abroad. It requires a recognition that any regional food system improvements will still necessarily operate within a larger global context, and that the two conversations have to happen in conjunction for full food system reform. There are a myriad of organizations doing fantastic work in this realm already, organizations like El Comite de Apoyo a los Trabajadores Agricolas (CATA) and the Food Chain Worker’s Alliance (FCWA). Becoming educated on their issues and supporting their campaigns are some of the first steps in creating a conversation around regional food systems that is comprehensive and inclusive. November 23 – 29 was Food Chain Workers week, an initiative set forth by the FCWA to help bring attention to the myriad of issues that food workers face. In an effort to raise awareness around food chain worker rights and their unjust working conditions, FCWA has recently released a comic book to be used as an educational tool for introducing these themes into conversations around food. In November, the documentary “Food Chains” was released to further shed light on the issues faced by food chain laborers. Food Chains focuses on the Coalition of Immokalee Workers and their struggles in acquiring fair wages. In an effort to strengthen this conversation at Friedman, the Friedman Justice League along with Friedman B-Link and Slow Food Friedman will be cohosting a screening and panel session on Food Chains in early January. It is our hope that this will be the beginning of many more conversations at Friedman that are inclusive of all those invested in the creation of a just and equitable food system. The Friedman Justice League student organization is a means to a more systematic, intentional and sustainable effort at the Friedman School to address issues of diverse representation within the student body, staff and faculty. We also focus on how the Friedman community can better address issues of discrimination and oppression (especially within the food system) in its teachings, research and programs. Join us! Contact FriedmanJusticeLeague@gmail.com for more information. Abby Harper is a second year AFE student. Current aspirations include learning whole-animal butchery, falling down less, and spending winter break in a perpetual dance party.